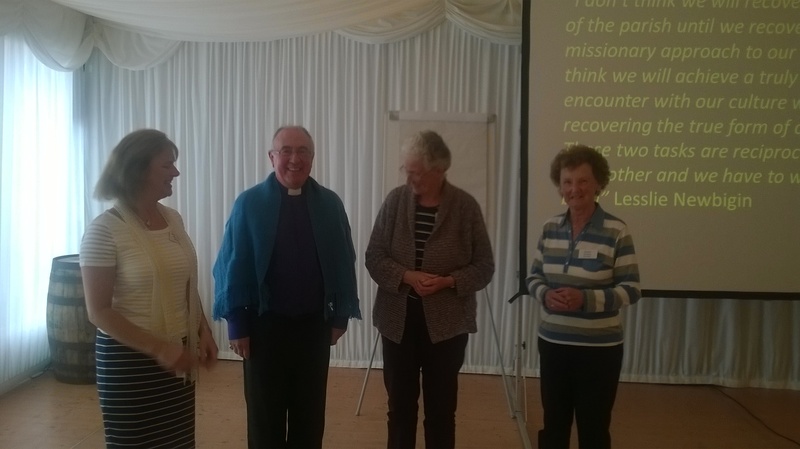 On Monday 21st September, Rt Rev Dr Angus Morrison and Mrs Marion Morrison attended the Argyll Presbytery Conference at Portavadie Marina. 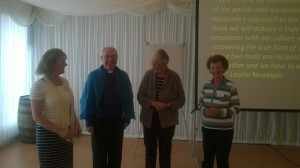 Dr Morrison was the keynote speaker, addressing the Conference on “The Renewal of the Church for Mission”. The conference also included a review of Youthwork in the Presbytery, and a presentation from Prof John Spence, of Strathclyde University, on “Grasping the Nettle: The God Question”. 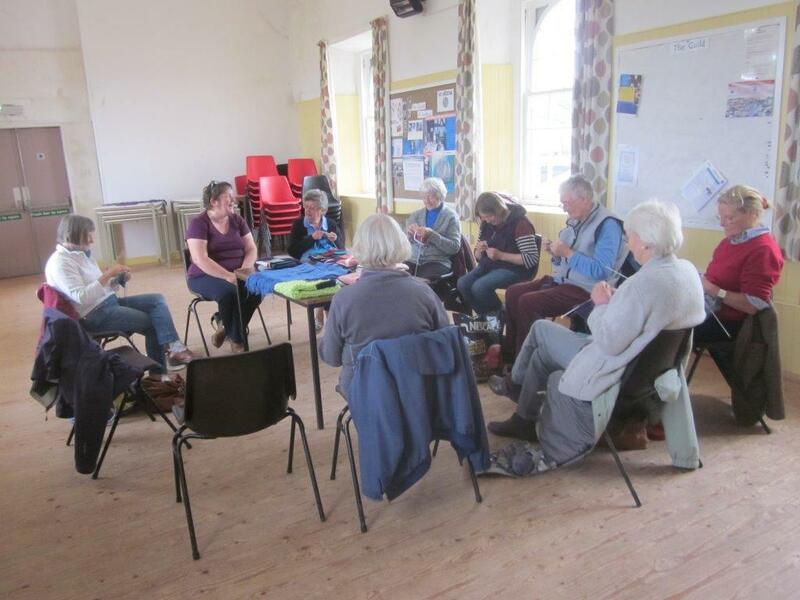 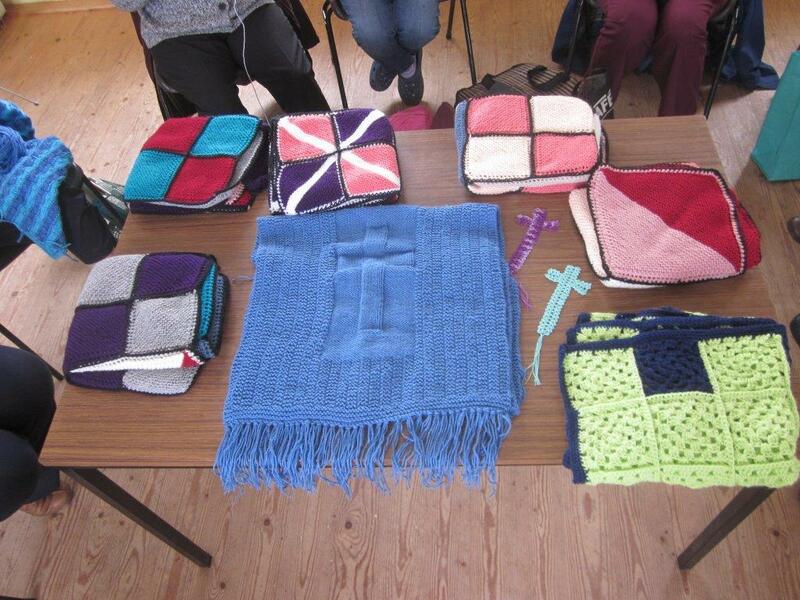 During the Conference, Dr Morrison and Mrs Morrison were each presented with a prayer shawl, made by the Prayer Shawl Ministry group in the Kintyre parishes. 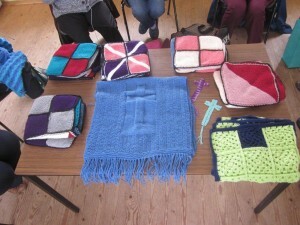 Below are photos of Dr and Mrs Morrison wearing their shawls, accompanied by two of the Prayer Shawl group, of the Moderator’s shawl, and of the group at work. 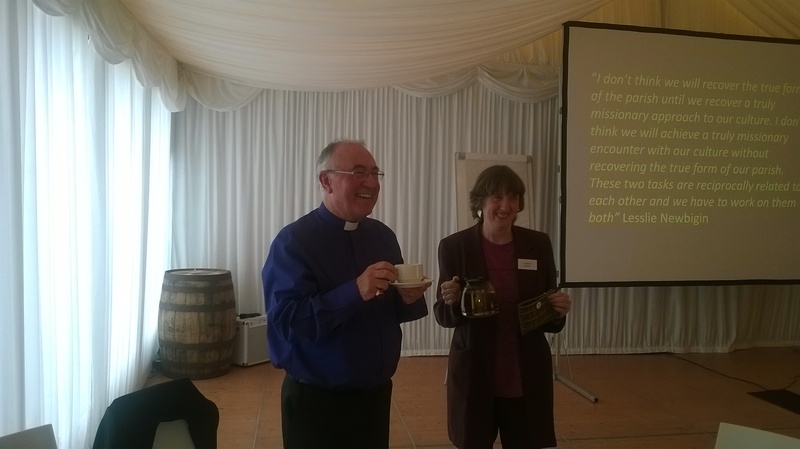 At the tea break, the Morrisons and the other delegates all sampled Isle of Mull “Scottish Antler” tea, grown on a croft in South-East Mull by Rev Liz Gibson and her team. In the first photo, Liz has just poured a cup of tea for the Moderator. 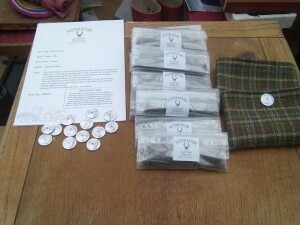 Also shown are some packets of Scottish Antler tea in their pouches.